Solved: the boy loves his mother. 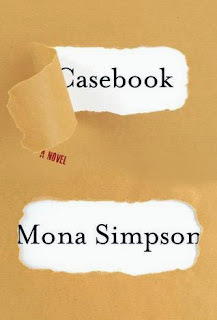 Synopsis of Casebook: A Novel by Mona Simpson: From the acclaimed and award-winning author, a beguiling new novel about an eavesdropping boy working to discover the obscure mysteries of his unraveling family. He uncovers instead what he least wants to know: the workings of his parents’ private lives. And even then he can’t stop snooping. Miles Adler-Rich loves his mom (the Mims). Oh, he loves his dad and his twin sisters (Boop One and Boop Two) too. Everything is pretty much smooth sailing until he finds himself under his parents' bed because he really, really wants to know why they won't let him watch Survivor... and from his parents' conversation, Miles finds out that there is trouble brewing in their mundane existence. Thus starts years of snooping. Miles, and his best friend Hector, become privy to an adult existence: his parents' deteriorating marriage, his father's insensitivity and obliviousness, his mother's attraction and eventual relationship with a geeky yet sensitive guy, and the emotional messes that come along with all of it. A coming-of-age story interjected with an obvious love for mathematics, comic books, and of the tender and oft-taken-for-granted moments that makes up family life. I started this book thinking it was going to be a fun, quirky read about two teenage friends "sleuths" told with a smart, John Green-ish voice. I don't know where I got that, but that's what was running through my head. But in my discomfort came empathy. Miles grew on me. I loved his fierce yet tender love for his mother, an all-consuming love that pushes him to grow up and step in to protect her from being hurt again and again. Sure, his ways of "protecting" her seem humorous and juvenile, but it is this juvenile response that soooo hit me in the gut. This is an unusual novel on several counts, which may either irk or charm you. In my case, I was charmed so please forgive my very subjective thoughts below. First, it is narrated by Miles over the years, from tween to adult. It is a child's voice that eventually becomes a young man's voice. I found Miles' voice quite compelling because while the young voice is very strong, it gains confidence and surety throughout the book. Take note: there are footnotes which are Hector's additions. The footnotes annoyed the heck out of me initially because I couldn't understand where they were coming from. Once I had figured that out, I found it quite amusing as there is a bit of good-natured best friend banter. Second, this is told very conversationally, like streams of consciousnesses on paper. There is a looseness in the narrative that makes it long-winded, detailed, and sometimes tedious. If you want a tight, focused story, this isn't it ... I liken it to Little Women with its detailed, languid descriptions and explorations of place, feeling, and thought. Third, there are two rather random subject matter that wheedle their way into this storyline -- mathematics and comics. Instead of scratching my head, I welcomed them. I enjoyed how the mathematics references were a nice touch, especially as to how the Mims thought, after all she is a mathematician! And I found the introduction of some quirky comics within the text quite fun. I only I wish they were more comics closer to the front of the book. Lastly, the story comes full circle. I loved the fact that the "case" was resolved in the end. A heartwarming case of a young boy who loves his mother with intense ferocity. A novel that grew on me with its tender storytelling and melded with mathematical philosophies and with comic book humour. Makes my favourite reads for the year! Connect with Mona on Facebook. I received an Advance Reader Copy of this book from the publisher via TLC Book Tours in exchange for an honest review. Thanks for being on the tour! I'm featuring your review on TLC's Facebook page today. Always a pleasure being on TLC's tours. Thanks for the feature! You always get to do the best book tours. This one looks like a definite winner! Unrelated: Isn't Mona Simpson also Steve Jobs half sister? I've been getting in on some really good ones lately, April! And yes, she IS Steve Job's sister! I've had that ARC sitting in a pile for months -- after reading your review, I'm moving it to the top of the stack. 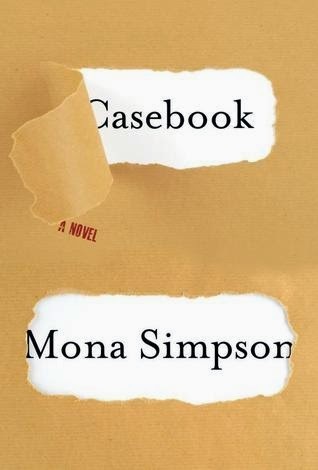 I wasn't crazy about Mona Simpson's last book (My Hollywood), but this one sounds great. Anne, I've only read this of hers. I got the impression though that Casebook has mixed reviews, on Goodreads at least. So I'd recommend you read it and see if this one rocks your boat. I am reading it now and enjoying it very much! Your review is spot-on. And for what it's worth -- what book HASN'T received mixed reviews on Goodreads?! True true :) So gad you're enjoying it, Ann! 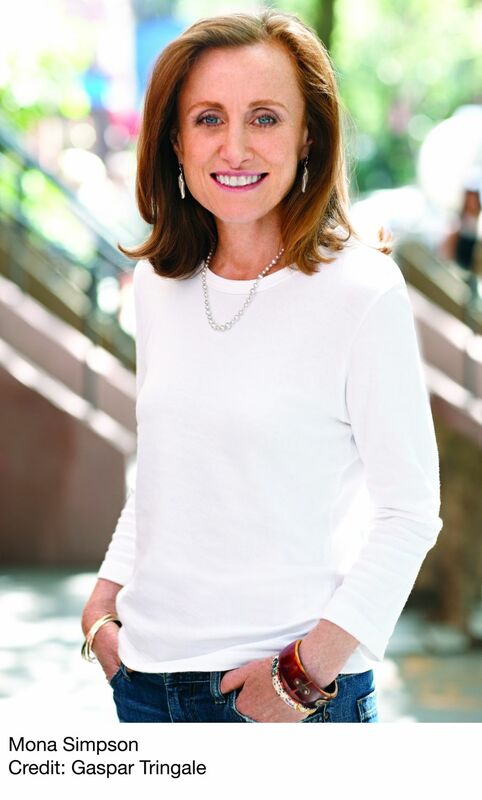 Stopping by from Carole's Books You Loved May Edition. I am in the list as #46 and 47.